Enjoy a new service from ZAIN for free. The service is SMS delivery report and the report comes to you for FREE. The only thing you need to do is activate this option through the SMS options section of your mobile. Now your friends can never say that they did not receive your message. ‘Tis the season for making babies in the motor industry. Not only are engines being downscaled but entire cars are resized to fit the recession and the environment's demands. In conforming to this trend, according to hearsay, Mercedes-Benz has begun the process of developing a smaller, more affordable SLS AMG. "Mercedes' management has been very supportive of AMG's efforts in developing the SLS," an unnamed source is quoted by Autocar. "The feedback we've received since showing the car at the Frankfurt motor show has been extremely encouraging. A second model that will project a similarly exclusive image but be more accessible in terms of its pricing is already in planning." The speculated sports car would naturally have shorter and narrower dimensions, and would give up the expensive gullwing doors. Its positioning is said to be higher than the current SLK 55 AMG. Buyers will eventually be able to choose between a coupe and a roadster. Current segment rivals include the Porsche 911 Carrera S and the Audi R8 V8. Power will come from the rumoured mid-front mounted twin turbo V8 with over 373kW (507hp). 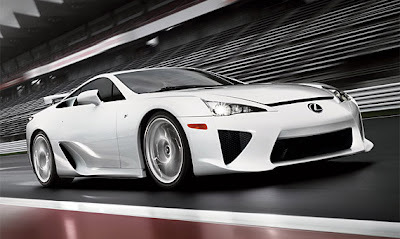 It will send all of that power to the rear wheels via a 7-speed double clutch and a limited differential slip. The 0 - 100km/h sprint should be around 4.5 seconds. 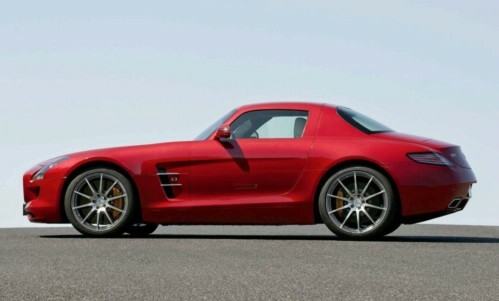 As a true SLS AMG brand extension the baby model will also get a fully electric powertrain like the SLS eDrive. Prices are reported to start at around £80,000 (US$134 700/ €90,000) when it goes on sale in 2013. McLaren Automotive is further confirming their plans to sell the company's cars worldwide. Citing a McLaren insider, automotive publication Autocar says the firm has carefully laid out a 12-year plan orchestrating the company's sales and marketing strategy. “We want to show we are not in this for the short haul,” the source said. The automaker had previously confirmed their intentions to create a dealership network across Africa, Europe, the Middle East, and North America. 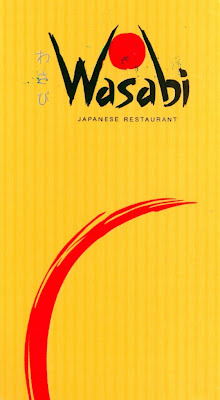 By 2011, up to 40 retail outlets will have been created, beginning in the UK and Europe. Eventually, there could be as many as 15 dealerships there, and another ten in the US & Canada. For the first time, McLaren is confirming their aim to introduce the brand in Hong Kong relatively soon, with an eventual push into China. The worldwide slate of showrooms should all be open to the public by 2021. 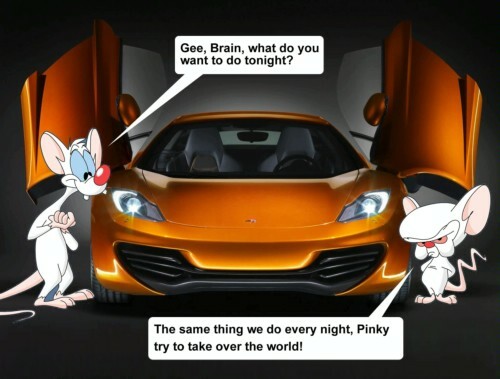 However, McLaren needs a global sales force in place by early 2011. Their latest supercar, the McLaren MP4-12C, will go into production by the end of 2010. 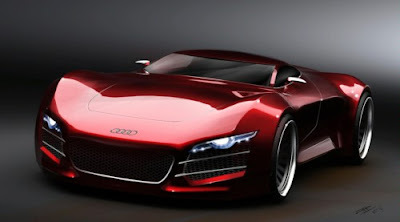 Sales of the highly anticipated car are expected to start by March 2011. Daimler revived the Zeppelin name with the introduction of the Maybach Zeppelin at the Geneva Motor Show on March 3rd earlier this year. This is also coincides with the last time WCF had anything worthy to report on Daimler's Luxury brand. Therefore an opportunity to see this batch of new photos was hardly going to be passed. Based on the Maybach 57 S and 62 S the Zeppelin maintains the same 6.0-liter V12 biturbo engine producing 640hp (471kW) and 1,000Nm of torque. This represents an power boost of 28hp compared to the regular models. 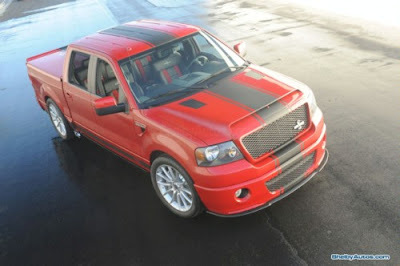 Subtle upgrades help differentiate this special model. These include a set of twenty-inch wheels finished in chrome, dark red tail lights, a special two-tone paint finish, streamlined exterior mirrors and "Zeppelin" lettering on the grille emblem and silver champaign flutes are some of the car's distinguishing features. Production is limited to just 100 units with pricing starting at €406,000 for the 57 Zeppelin and €473,200 for the longer 62 model. 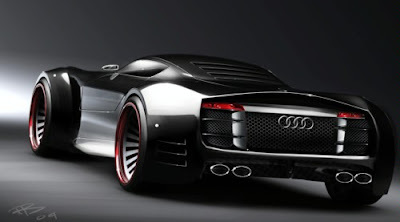 Ever since Audi launched the R8, people have been craving high performance variants. Quick to oblige, Audi responded by introducing the R8 GT3 and the street legal R8 V10. While just a flight of fancy, the overall design is impressive despite being a CGI dream. You're old, your kids have already been to Disneyland, and you need a vacation. Where do you go? 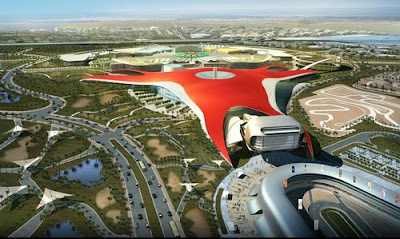 Ferrari World Abu Dhabi of course! 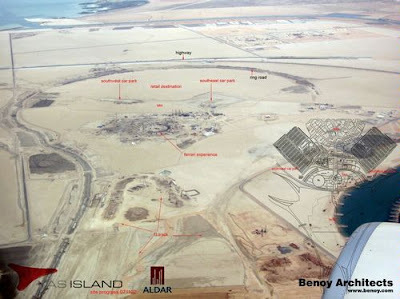 The "world's first Ferrari theme park and largest attraction of its kind" has announced plans to open in 2010. 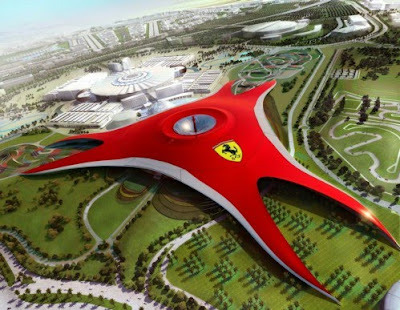 Featuring more than 20 attractions, the amusement park is 48 meters high, has 100,000 square meters (1,076,391 sq ft) of enclosed space and features the largest Ferrari logo ever created (65m x 48.5m). Operated by Farah Leisure Parks Management L.L.C, Ferrari World's main attraction is the world's fastest rollercoaster, which travels at speeds in excess of 200 km/h (124.2 mph). Other rides include the 'G-force experience' (which takes "passengers on an adrenaline-pumping ride up over 62 m, through the roof and back down again"), the 'Flume ride' (which explores "the heart of a Ferrari 599 engine"), and an "aerial voyage over Italy following a Ferrari." If that isn't your kind of thing, Ferrari World also offers a junior racing school with expert drivers. After an action-packed day, visitors can relax at an Italian restaurant or browse one of several souvenir shops. 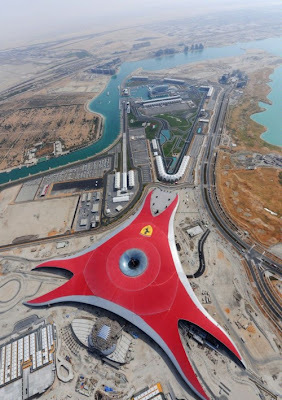 Located on Yas Island, Ferrari World is only a 10-minute drive from Abu Dhabi International Airport and just 30 minutes from the city of Abu Dhabi. 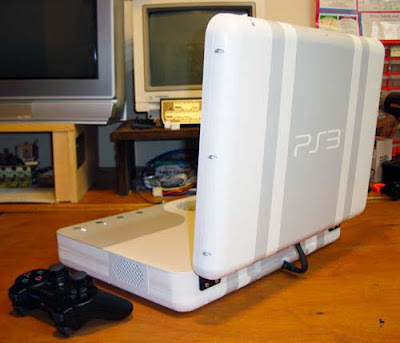 Don't dare call it a netbook. 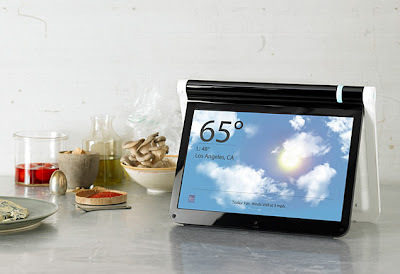 The Litl ($700), the first "webbook" from Boston-based Litl, is a mix between a netbook and a photo frame on steroids. It packs standard netbook hardware — a 1.6 GHz Intel Atom processor, HDMI output, 1GB of RAM, 2GB of flash memory, Wi-Fi, USB 2.0, a webcam, mic, and speakers — but moves beyond the typical mini-laptop paradigm with a customized OS and a unique design that allows the 12.1-inch screen to be rotated past 180 degrees, letting it stand on its own like an easel, displaying content such as a Facebook feed, photos from Flickr or Shutterfly, Weather Channel forecasts, and more. For the first time, the Man City squad have met their owner Sheikh Mansoor of Abu Dhabi. This was during yesterday's friendly match between Man City and the UAE (city won 1-0 btw). You would think after spending a couple of hundred million on a football club you would want to meet them before the half way mark of the season! If I spent 150m pounds on a team and they are 10 pts behind the Premiere League leaders i would be slapping not greeting. But thats just me. Anyways I love how Steven Ireland is following Shiekh Mansoor in the hopes that a couple of million would fall from his pockets! Spy pics have emerged of a Ferrari 612 Scaglietti mule, likely for a 612 successor model. Not much is known about whatever new creation is being tested here but given that that bulge is still on the hood, the model is likely still years away from making it to market, which is why we have it pegged as a 2012 612 Scaglietti. The bulge suggests the model is still in the early phases of testing, as Ferrari still do not have a body to fit properly to the engine. Previous speculation has Ferrari developing a hybrid system or a new V12 with a new twin-turbo system. Or it could just be Fiat's MultiAir system temporarily fitted to this mule in order to see how much performance enhancement can be had from that. Continuing the speculation with these photos, it seems the dimensions of the front end are strangely stretched from the standard 612. The lengthened front end and larger wheel arches, which our spy photographers noticed on the last batch of pics, suggest a coming all-wheel drive system too? It's a new Ferrari. That's what it is. There has been a mysterious BMW M3 with a massive wing spied testing on the Nurburgring a couple of weeks ago and now it has been identified. It was this brand new M3 GTS, the most extreme 3 series-based factory car of the current E92 generation. Installed into the engine bay is a 4.4-litre V8 based on the 4.0-litre engine found in the standard M3. Maximum power is 450bhp (an increase of 36bhp) and the transmission is the 7-speed M dual clutch transmission (M-DCT) with adapted shift characteristics. The exclusive 19-inch aluminium wheels come wrapped inside 225/35 front and 285/30 rear tyres. Suspension upgrades include the utilisation of yellow springs for a threaded suspension while the rear axle support is said to be bolted in place. Most notable in previous spy materials was the big rear wing which generates high levels of downforce. It is adjustable as well as the front splitter for increased cornering precision and handling. Despite the factory car having weight-saving pieces like the carbon fibre roof, BMW saw it fit to reduce body mass even further. After all, the GTS aims to beat the old M3 CSL's Nürburgring lap time. Measures thus taken include employing light body-contoured seats, a new titanium rear silencer whose work can be heard on the video as well as the removal of air conditioning and the rear seat. Rollover protection mounts were bolted on from the B column while a fire extinguisher and a battery master switch/emergency shut-off preparation ensure safety. BMW will only manufacture the M3 GTS to order and sell it at about €115,000 (US$170 614) per unit. German deliveries begin in May 2010 while other countries are scheduled for the summer. 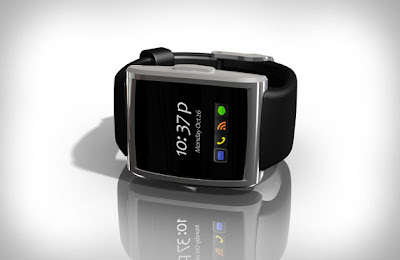 Hide your addiction with the InPulse Blackberry Smartwatch ($150). It connects wirelessly via Bluetooth to your Blackberry, letting you discreetly check emails, texts, and Twitter updates without busting out the phone. The InPulse sports a 1.3-inch full color OLED display, a built-in vibrating motor, and a rechargeable lithium-ion polymer battery. Saudi striker Nawaf Al Abed has scored what newspapers in the Kingdom are claiming to be the fastest goal ever recorded in a professional football match, when he gave Al Hilal the lead after only two seconds. The incident took place in the Prince Faisal bin Fahad Cup match between Al Hilal and Al Shoalah. The goal was officially clocked at two seconds and the match eventually ended in a 4-0 win for Al Hilal. Al Abed spotted the Al Shoalah goalkeeper off his line straight from the kickoff and the 21-year-old striker tried his luck from the halfway line. 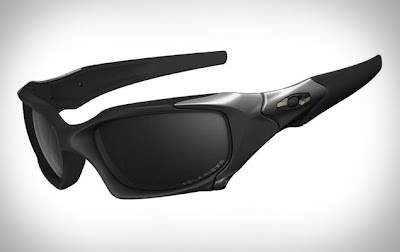 It takes a certain type of attitude to pull off Oakley's most aggressive designs, but if you've got it — and a large wad of cash — you're going to love the new Oakley Elite Collection ($500-$4,000). Featuring the big O's most daring designs and innovative technologies, the Elite Collection includes the hard-core first responder Assault Boot, the Swiss-made automatic Time Bomb II watch, the Romeo-inspired, rugged Pit Boss sunglasses, and the mother of all Oakleys, the carbon fiber-bodied, polarized C Six. 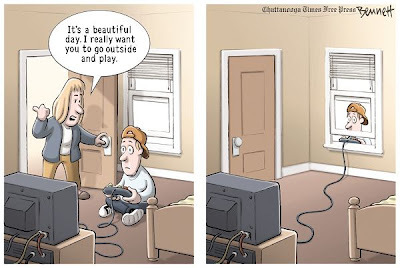 with billion dollar research and development budgets cant do in their labs. 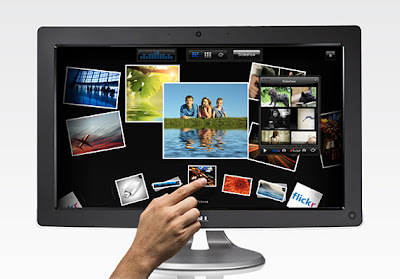 Prepare for Windows 7 with the Dell Multi-Touch Monitor ($470). This 21.5-inch Full HD panel is fully compatible with the multi-touch features of Win 7, and also features a two megapixel integrated webcam, USB, HDMI, audio, VGA, and DVI inputs, audio output, and a stylish integrated stand. Shelby Automobiles has created a pickup version of the GT500 Super Snake series, which it premiered at the SEMA auto show in Las Vegas earlier this week. 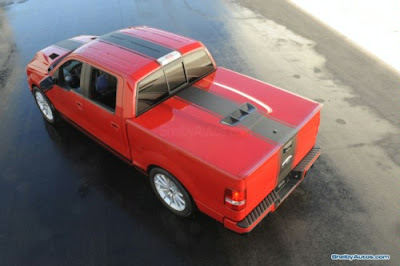 The model will be based on the (2003-2008) Ford F-150 and comes dressed in black stripes and Alcoa Shelby wheels. Under the custom hood, the 5.4 liter engine doles out 475 hp. 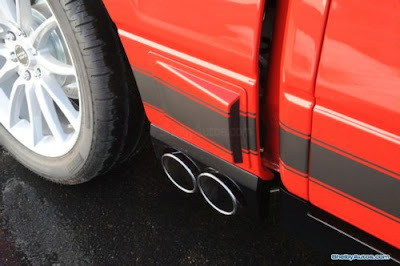 Shelby has added 6 piston brakes to help reign in this raging red F-150. Suspension is also lowered by 3 inches (7.6 cm) and stiffened to improve road handling. The kit also comes with several aerodynamic and optics components, including a custom front fascia, mesh grill and grill surround, a carbon fiber splitter, fender vents and brake cooling ducts. 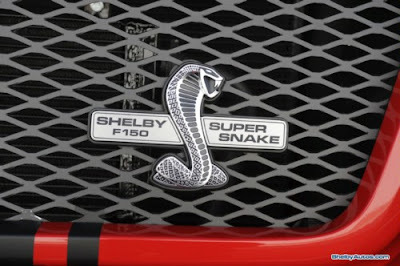 Super Snake badges are also peppered about. 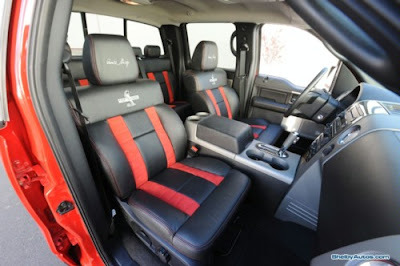 On the inside is a leather finish with headrests and floor mats branded with the Shelby logo. 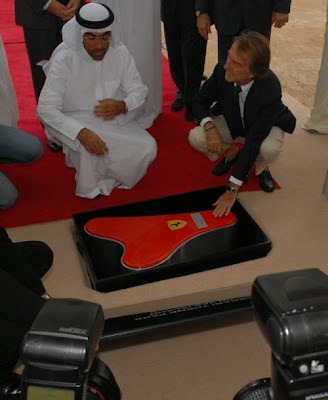 Ferrari certainly does take the Middle-East market seriously. Here is a video shot as part of a gala event at the Yas Hotel in Dubai hosted by Ferrari which included lengendary Ferrari race driver Michael Schumacher and current Ferrari Chairman Luca Di Montezemolo. he video features nearly 100 Ferraris of varying models racing across the United Arab Emirates before pulling into the Yas Marina Circuit to watch a Formula One practice session for the Abu Dhabi Grand Prix, which took place on Sunday November 1. Leading the parade was Ferrari's latest release, the front mid-engined California. The event was organized by Ferrari Middle East in parntership with the local Ferrari importer and the Emirates' Ferrari Owners' Club. In attendance were also Ferrari drivers Felipe Massa, Kimi Raikkonen and Giancarlo Fisichella as well as the Italian Ambassador Claudio Doniosi. Wiring your entire home for sound can be a huge pain — especially if you're working on a historic or otherwise pre-existing residence — which is why we're intrigued by the Sony Altus ($50-$700) system. Utilizing 2.4GHz wireless technology, the Altus system can push audio from the source of your choice, be it a stereo, TV, or iPod, to a maximum of eight separate speakers around your house, letting you "Party in the USA" no matter where you are. 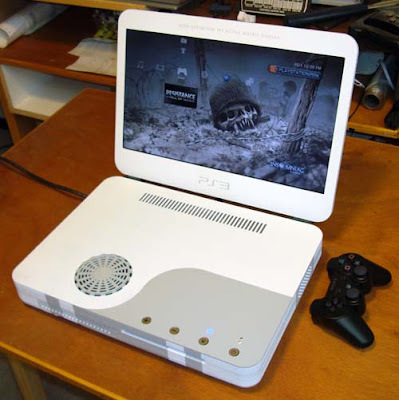 If that sounds a bit rich for your blood, there's always the Rocketfish system, which also uses a 2.4GHz wireless audio standard but runs from $60-$200. Luxury Swiss watchmaker TAG Heuer has officially introduced the Meridiist Automobili Lamborghini mobie phone. 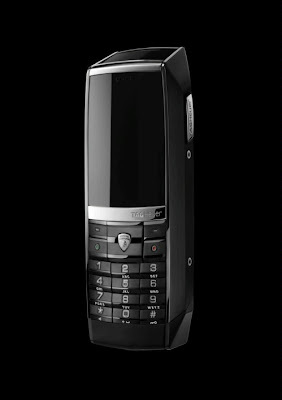 Inspired by the Murcielago LP 640, the phone will be limited to 1963 units, meant to honor the year of Lamborghini's creation. 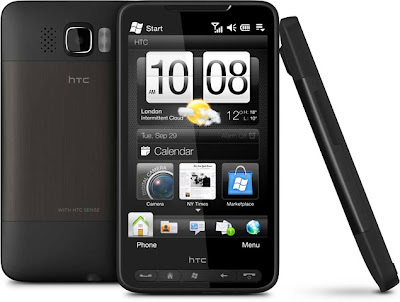 Although it is meant to look sleek, the phone looks somewhat clunky and thick. This chunky design could be the result of the acoustics chamber, or the entire phone's housing. It has a case made from black titanium carbide, which was then coated in stainless steel. Although this is a digital world, the phone is actually made of 400 mechanical components, reflective of TAG Heuer's timepieces. The display is made from "60.5 carats scratch-resistant sapphire crystal." It also has a battery capable of seven hours talk time, or nearly a full month on standby. 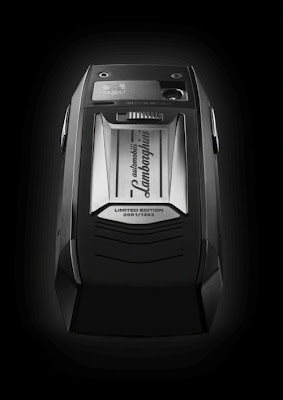 The phone is now available at select TAG and Lamborghini retailers. There are two things you need to know about about me. First thing is that I absolutely LOVE!! 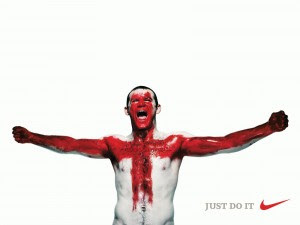 Wayne Rooney, the second is that i'm allergic to fish, but thats not the point of this post. I love the passion he displays while playing, he truly is one of a kind. Anyways, Rooney has just become a father and the bookies are already taking bets on whether he will play for Man Utd or England! Below is an exclusive picture of little Kai Rooney!